Vacay was wonderful and I have already hit the ground running. There’s so much to share, but more about the weekend vibes on Wednesday. Today, I have a special edition of Rotations for you. Some of you have been asking me what happened to my album reviews. Honestly, I just haven’t had the time and simply lined up the goodness for my end of year Top Albums list. However, a review came my way that I had to share with y’all and it just may be the catalyst to seeing future reviews on the site. Senior Writer and my writing fam Howard Dukes from Soultracks.com wrote a review of the new Greg Dean album The Greg Dean Project that basically sums up how I feel about this phenomenal album as well. And before I exit, be sure to click on over the iTunes preorder link to the album. So, courtesy of Soultracks.com, please enjoy this review by Howard Dukes! Greg Dean built a career has one of the most well respected R&B producers in the Republic of South Africa. He worked with some of that country’s best-known artists. Dean’s latest effort brings him stateside, where he pairs with American vocalists including Eric Roberson, Chantae Cann, Carole Riddick, Gordon Chambers and Jarrod Lawson on the Greg Dean Project. The above artists are well known to soul music fans. Chambers is a Grammy-winning songwriter and indie soul artist in his own right. Erro rightly wears the title as the king of indie soul, while Riddick released one of 2015’s best R&B albums. Cann’s performance of “Find My Way to Love” on the Jaspects’ highly regarded 2009 album The Polka-dotted Stripe stood out on what was a very good project. Lawson helped put Portland on the soul music map individually, as well as on the revelatory record Bespeak Love that featured many artists from the City of Roses’ soul music scene. Even with well-known musical quantities such as Roberson, the highlight of The Greg Dean Project is the discovery of new or lesser-known talents such as Natalie Weiss, Amber Iman, Chester Gregory and Mykal Kilgore. The piano and spoken word interlude to “Like Rain” whets the appetite for a percussively sultry ballad from two women who put their musical theatre chops to good use. 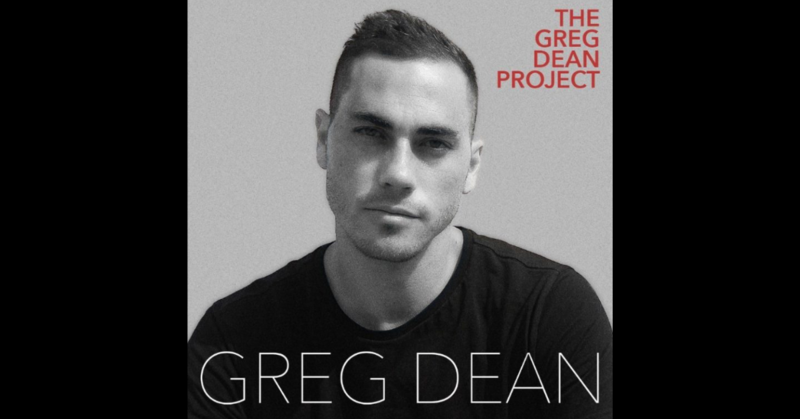 The Greg Dean Project is a record that makes it easy to see why Dean is a top flight producer in his native land. He displays a skill for matching the artist with material and works equally well with well-known and up and coming artists. The consistent quality of this project will no doubt have American artists lining up for future collaborations with Dean and should make soul music fans on this side of the Atlantic take notice. This album will be on “repeat” for a while. Highly Recommended.